The Air Force announced today the contract award of Engineering and Manufacturing Development (EMD) and early production for the Long Range Strike Bomber to Northrop Grumman Corporation. «The LRS-B is critical to national defense and is a top priority for the Air Force», said Secretary of the Air Force Deborah Lee James. «We face a complex security environment. It’s imperative our Air Force invests in the right people, technology, capability and training to defend the nation and its interests – at an affordable cost». 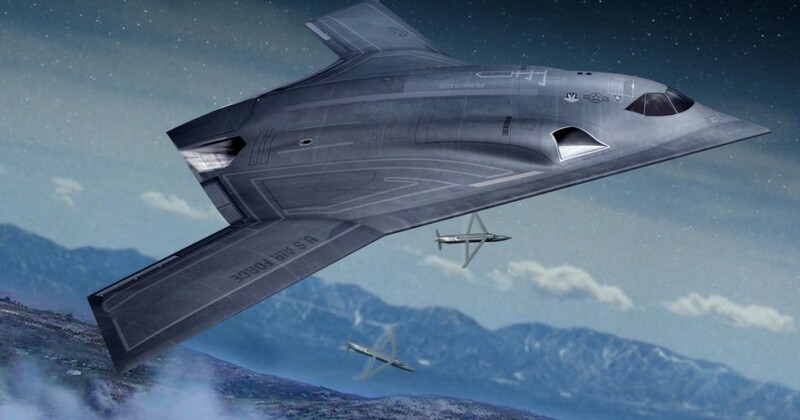 «The LRS-B will provide our nation tremendous flexibility as a dual-capable bomber and the strategic agility to respond and adapt faster than our potential adversaries», said Chief of Staff of the Air Force General Mark A. Welsh III. «We have committed to the American people to provide security in the skies, balanced by our responsibility to affordably use taxpayer dollars in doing so. This program delivers both while ensuring we are poised to face emerging threats in an uncertain future». «We believe this is a reasonable and achievable estimate. If we remain disciplined and keep program requirements stable, we should beat this estimate», said Dr. William A. LaPlante, the assistant secretary of the Air Force for Acquisition. «The program acquisition strategy has carefully integrated lessons learned from previous programs and considered all elements of life cycle costs in its design for affordability», LaPlante added. «We are primed to deliver this capability in the most affordable, efficient way possible». 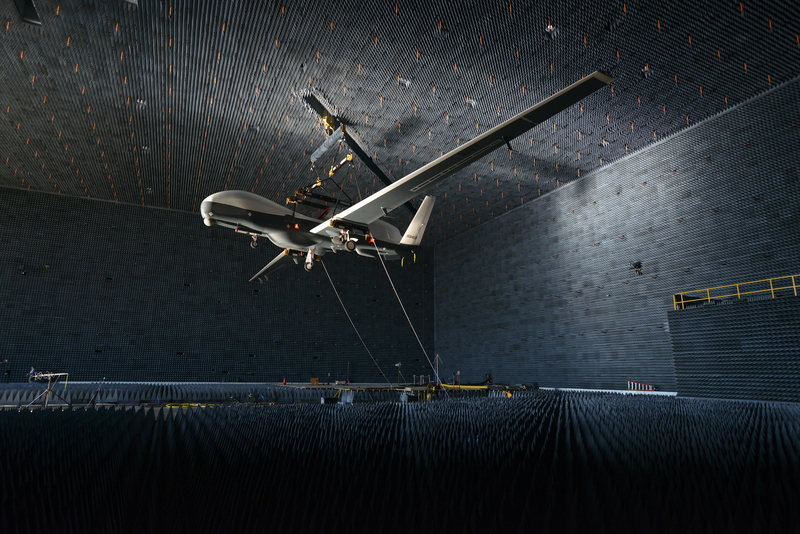 An MQ-4C Triton is lifted inside Patuxent River’s anechoic chamber on August 12, 2015 for ElectroMagnetic Compatibility (EMC) testing. This event marked the first time that an unmanned aircraft inside the chamber was controlled from an external ground control station. 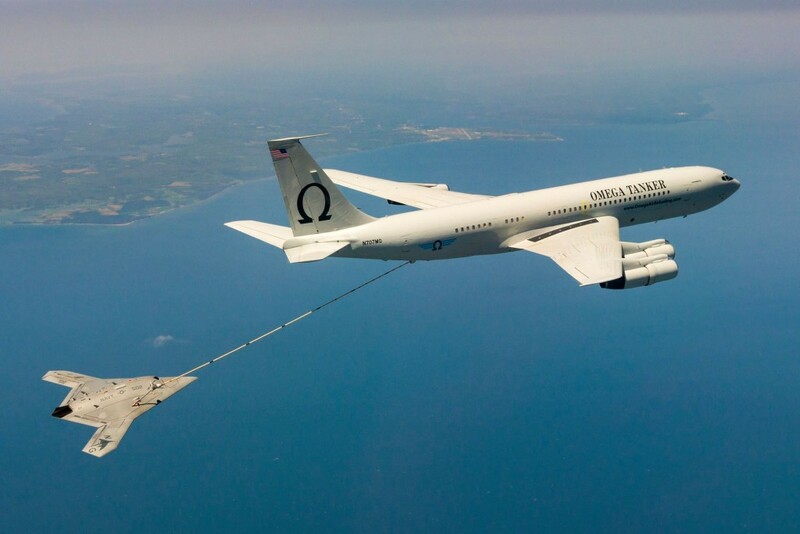 Triton’s EMC testing will continue for the next eight weeks to verify the aircraft’s subsystems can operate without interfering with each other. 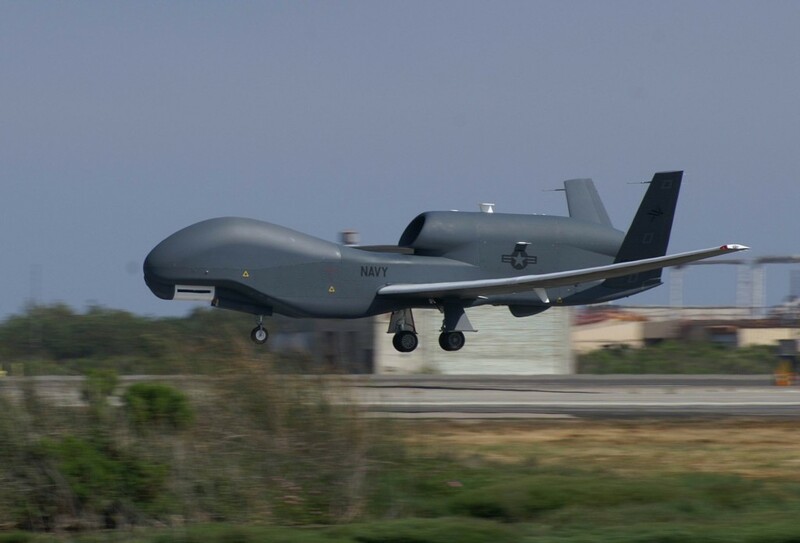 Northrop Grumman’s MQ-4C Triton Unmanned Aircraft System (UAS) provides real-time Intelligence, Surveillance and Reconnaissance over vast ocean and coastal regions. 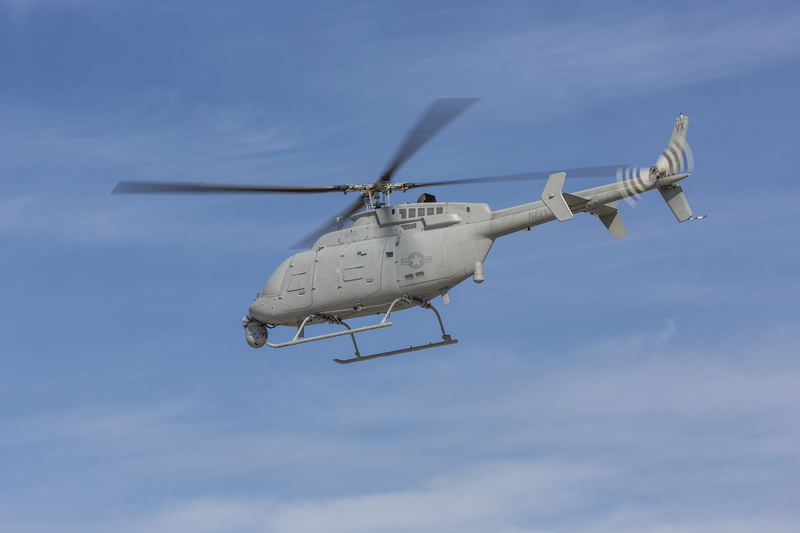 Supporting missions up to 24 hours, the high-altitude UAS is equipped with a sensor suite that provides a 360-degree view of its surroundings at a radius of over 2,000 nautical miles/3,704 km. Triton builds on elements of the Global Hawk UAS while incorporating reinforcements to the airframe and wing, along with de-icing and lightning protection systems. These capabilities allow the aircraft to descend through cloud layers to gain a closer view of ships and other targets at sea when needed. The current sensor suite allows ships to be tracked over time by gathering information on their speed, location and classification. 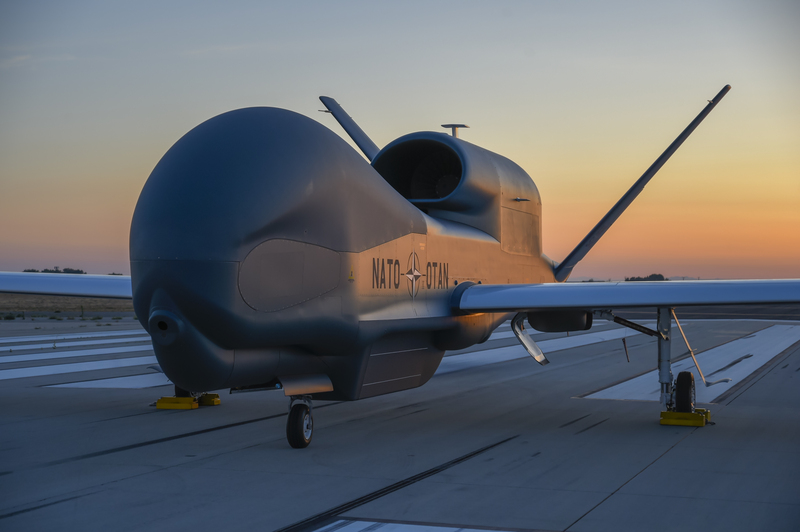 Built to support the U.S. Navy’s Broad Area Maritime Surveillance program, Triton will support a wide range of intelligence gathering and reconnaissance missions, maritime patrol and search and rescue. The Navy’s program of record calls for 68 aircraft to be built. Long-range detection and classification of targets. Provides information received from VHF broadcasts on maritime vessel movements. Northrop Grumman Corporation has been awarded a delivery order from the Defense Microelectronics Activity (DMEA) to deliver an advanced anti-missile system to the Air National Guard (ANG) and Air Force Reserve Command (AFRC). Under the terms of the $31.7 million contract, Northrop Grumman will deliver three modernized third-generation pods, which are based on the Northrop Grumman Guardian system that was developed for the Department of Homeland Security, for the Air National Guard and Air Force Reserve Command’s KC-135 aircraft. The company will also support government flight tests and provide training. The work is expected to be completed by early 2017. 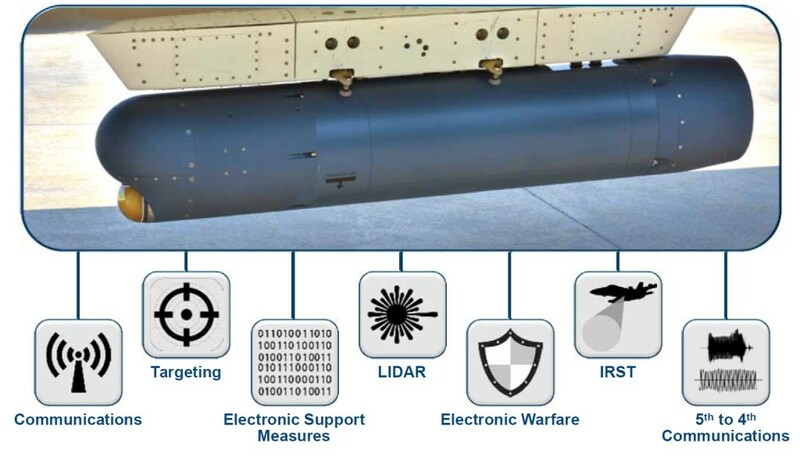 The third-generation pod benefits from the Large Aircraft Infrared Countermeasures (LAIRCM) Block 30 configuration, which incorporates the latest system processor technology, infrared missile warning sensors, the Viper laser and a new control interface unit. «This open architecture configuration, with its increased capability and reliability, provides the next level of aircraft protection», said Carl Smith, vice president, infrared countermeasure programs, Land and Self Protection Systems Division, Northrop Grumman. «Block 30 builds on the company’s more than 15 years of experience in battle-proven laser-based infrared countermeasures. 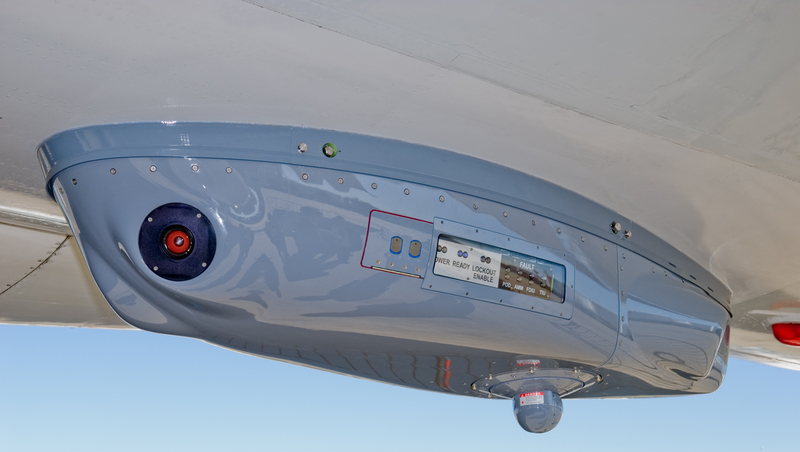 The third-generation role-fit pod configuration offers reliable, flexible protection that is ideally suited to numerous military and commercial aircraft». The third-generation pod provides 360-degree protection against a wide range of missile threats. When LAIRCM detects a Man-Portable Air-Defense System (MANPADS) launch, it tracks the incoming missile and uses a laser beam to jam the missile’s guidance system, causing it to miss the target aircraft. 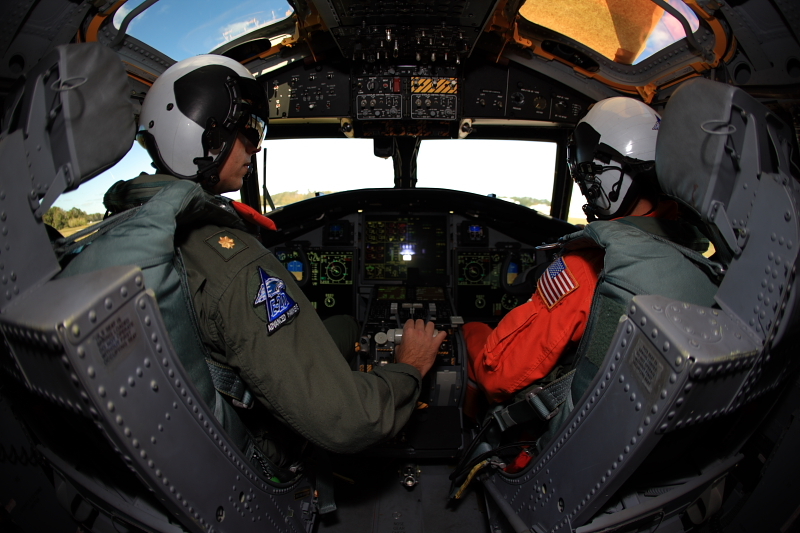 The entire process occurs in just a few seconds and requires no action on the part of the aircraft crew. The system includes a multiband laser pointer/tracker and four infrared missile-warning sensors. 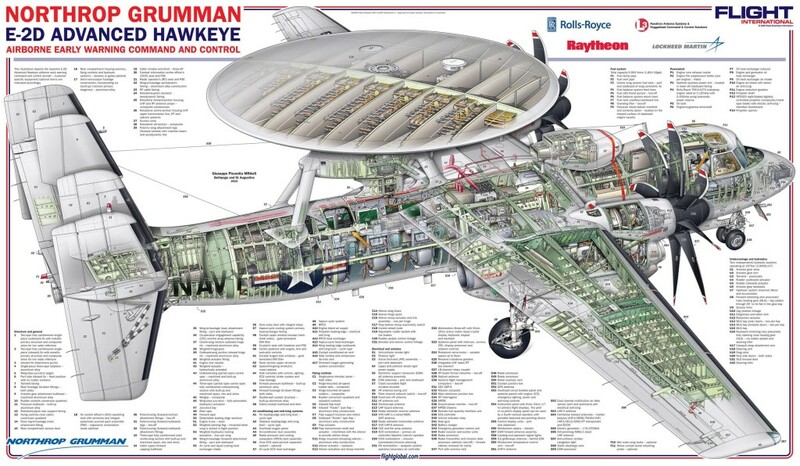 The system is contained almost entirely in a single pod that mounts to the underside of the fuselage and can be moved easily from one aircraft to another, as needed. 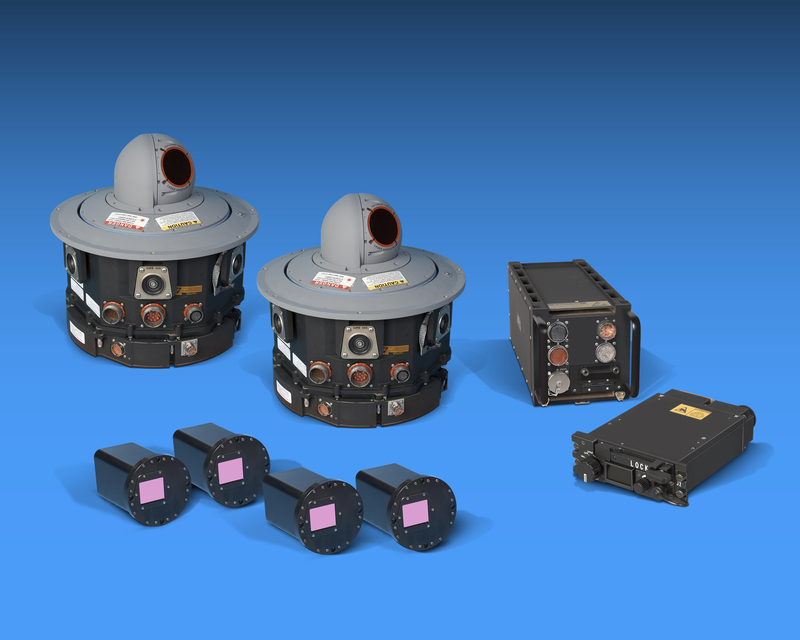 Northrop Grumman’s various infrared countermeasure systems are now installed or scheduled for installation on more than 1,000 military aircraft around the world, protecting 55 different types of large fixed-wing transports and rotary-wing platforms from infrared missile attacks. Expanding NATO’s joint Intelligence, Surveillance and Reconnaissance (ISR) capability, Northrop Grumman Corporation and its industry partners together with NATO leaders unveiled the first NATO Alliance Ground Surveillance (AGS) aircraft to an audience of customers, distinguished guests, employees and community leaders on June 4, 2015 in Palmdale, California. 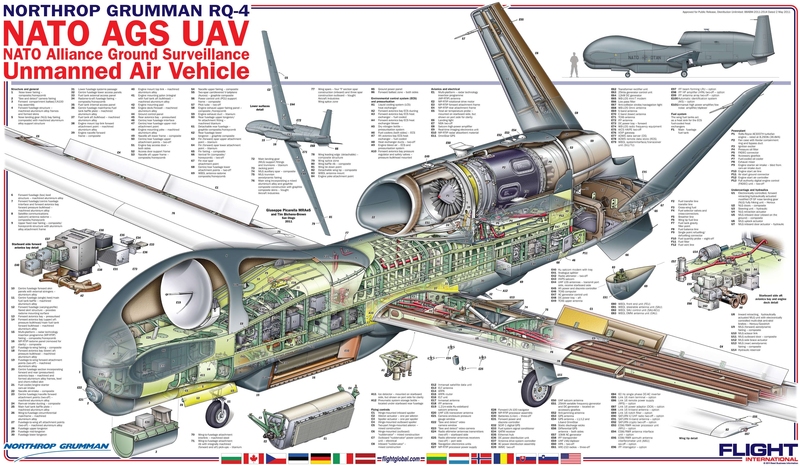 The unmanned aircraft, a wide area surveillance Global Hawk, is part of a broader system of systems solution that will advance the Alliance’s evolving ISR needs during a full range of NATO’s missions such as protection of ground troops and civilian populations, border control and maritime safety, the fight against terrorism, crisis management and humanitarian assistance in natural disasters. «This marks a significant step forward in achieving NATO’s goal of acquiring NATO-owned and operated AGS Core Capability», said Erling Wang, chairman of the NATO AGS Management Organization (NAGSMO). «What you see here today is the result of one of the commitments made at the 2012 NATO Summit – to bring this advanced and critical persistent ISR capability to the Alliance to help ensure we can continue to address the range of challenges our member and other allied nations face». The NATO-owned and operated program comprises five air vehicles and fixed, mobile and transportable ground stations. Northrop Grumman’s primary industrial team includes Airbus Defence and Space (Germany), Selex ES (Italy) and Kongsberg (Norway), as well as leading defense companies from all participating countries. The industries of the 15 participating nations (Bulgaria, Czech Republic, Denmark, Estonia, Germany, Italy, Latvia, Lithuania, Luxembourg, Norway, Poland, Romania, Slovakia, Slovenia and the United States), are each contributing to the delivery of the AGS system. All 28 Alliance nations will take part in the long-term support of the program. «We are establishing the necessary ground stations, command and control systems, and training and logistics support services at the NATO AGS main operating base at Sigonella Air Base in Italy», stated Jim Edge, general manager of the NATO AGS Management Agency. 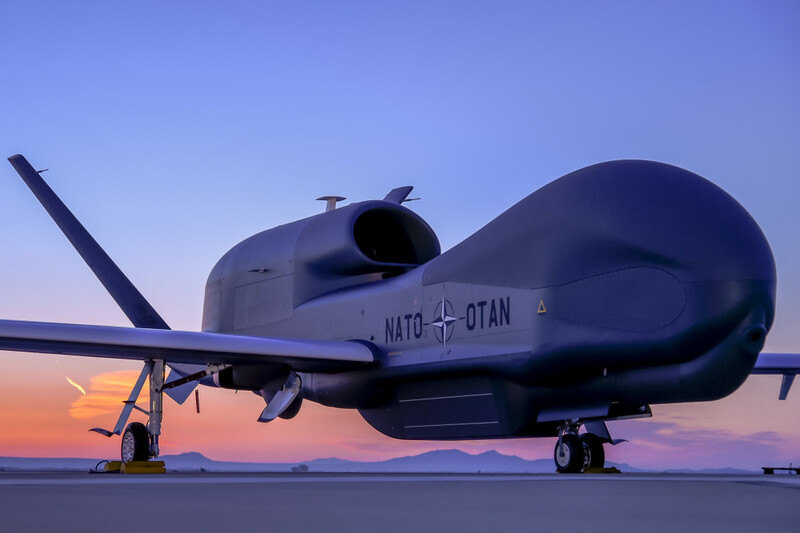 With the ability to fly for up to 30 hours at a time, the high-altitude long-endurance system will provide NATO leaders with persistent global situational awareness. The aircraft is equipped with leading-edge technology, including the Multi-Platform Radar Technology Insertion Program (MP-RTIP) sensor. The MP-RTIP will provide critical data to commanders during operations in any weather, day or night. The NATO AGS system will also be able to fuse sensor data, continuously detect and track moving objects and provide detailed imagery. «The level of collaboration required to bring together successfully so many international partners in the development of this tremendous system of systems capability for NATO speaks to the commitment and strength of the trans-Atlantic relationships we have built with our key partners, to deliver what is truly a European program», said Janis Pamiljans, sector vice president and general manager, unmanned systems, Northrop Grumman Aerospace Systems. Northrop Grumman is a leading global security company providing innovative systems, products and solutions in unmanned systems, cyber, Command, Control, Communications, Computers, Intelligence, Surveillance and Reconnaissance (C4ISR), and logistics and modernization to government and commercial customers worldwide. 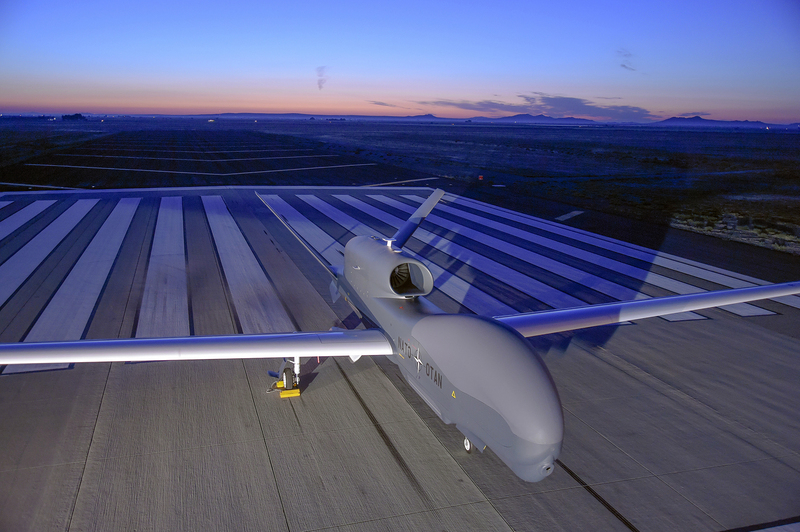 The airborne entity is based on a modified RQ-4 Block 40 High-Altitude, Long-Endurance Unmanned Air Vehicle (HALE UAV), enhanced to support NATO specific interoperability and communications requirements. 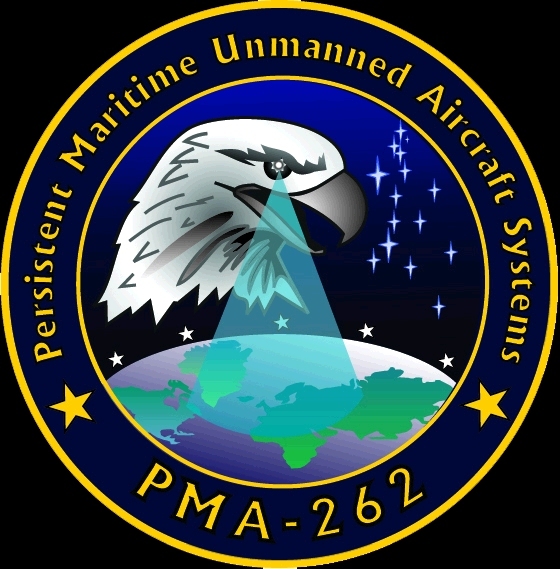 The UAV is equipped with state-of-the-art, multi-mode, Multi-Platform Radar Technology Insertion Program (MP-RTIP) ground surveillance radar sensor [Providing concurrent terrestrial and maritime Ground Moving Target Indicator (GMTI) and Synthetic Aperture Radar (SAR) information in all-weather, day or night operations], enhanced with an extensive suite of network-centric enabled Line-Of-Sight (LOS) and Beyond-Line-Of-Sight (BLOS) long-range, wide-band data links. The European-sourced ground entities include a number of mobile and transportable ground stations, all managed by the Mission Operation Support (MOS), providing mission planning, connectivity, data processing and exploitation capabilities. In addition, they provide an interface between the AGS Core system and a wide range of interoperable interfaces for data exchange with interoperable NATO/National C4ISR systems. The Air Vehicle Missions Command and Control (AVMC2) provides overall mission command and control of multiple air vehicles, coordination with interoperable NATO and national Command and Control, Intelligence, Surveillance and Reconnaissance (C2ISR) systems, and coordination of the ground entities through the MOS across geographically dispersed theatres of operations. This AVMC2 capability provides multiple UAV command and control, theatre-wide Battle Management, Command and Control (BMC2) and sensor and information management within an integrated ground-based Operations Centre. The MOS and AVMC2, along with the training and logistics support elements, will be located at the Main Operating Base (MOB) at Sigonella Air Base in Italy. 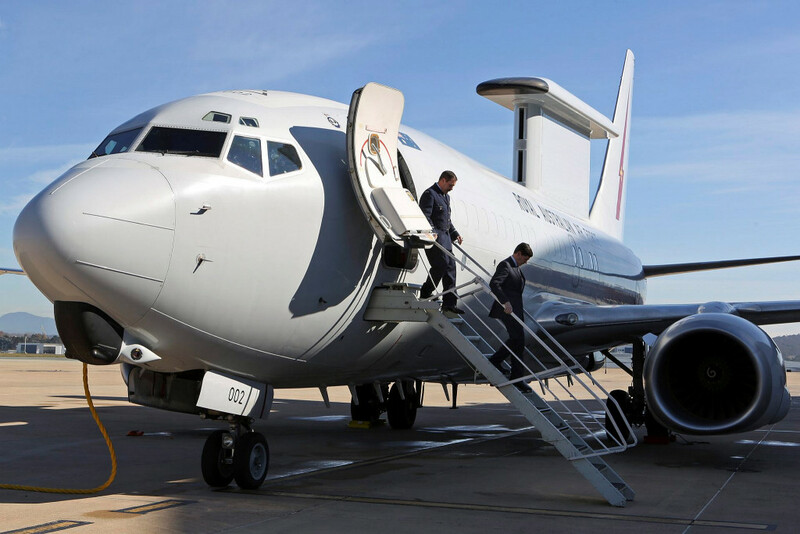 The AGS Core provides unprecedented real-time airborne ground surveillance and situational awareness information throughout the full range of operations for NATO and the nations. A system of systems, the AGS Core consists of air, ground, mission operations and support elements, performing all-weather, persistent wide-area terrestrial and maritime surveillance. 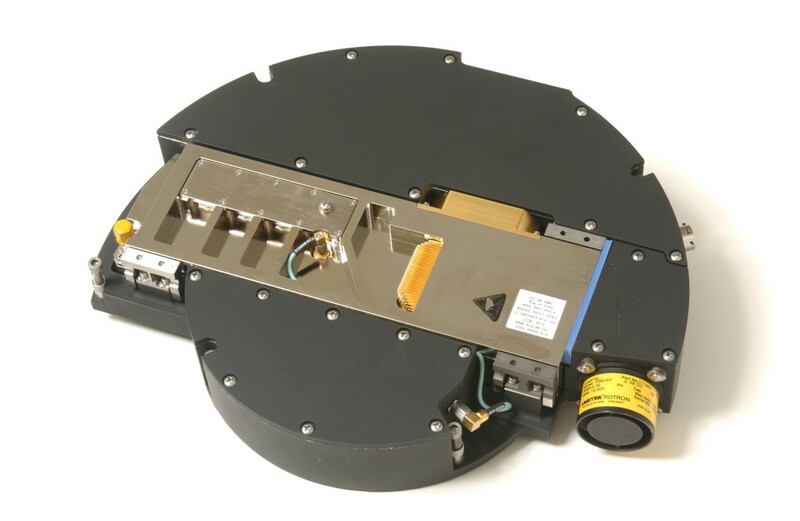 Using an advanced radar sensor, augmented with off-board Electronic Support Measures (ESM) and Identification Friend or Foe (IFF) sensors and Full Motion Video (FMV) information, the AGS Core fuses sensor data, continuously detects and tracks moving objects, and provides object emission profiles as well as imagery of stationary objects throughout the observed areas. Each AGS Core ground entity and the AVMC2 exchanges NATO standard C2ISR data with the interoperable NATO and national systems, further expanding the situational awareness available to ground, maritime, and air commanders in support of NATO missions – anywhere in the world. The AGS Core, supplemented by national systems, will provide unprecedented situational awareness to different levels of command in support of NATO forces engaged in the full range of missions. Changing, integrating or upgrading sensors on a military aircraft can be an expensive, time-consuming and complex endeavor. Northrop Grumman Corporation’s new OpenPod sensor system, unveiled at the National Press Club in Washington, D.C., overcomes these challenges by making it possible for maintainers to swap sensors in theater. The OpenPod system consists of line-replaceable units and a set of interchangeable sensors that can be swapped out in minutes. Enabled by open architecture principles, OpenPod is the first of its kind to accommodate a range of sensors with one pod. «The battlespace can change quickly. 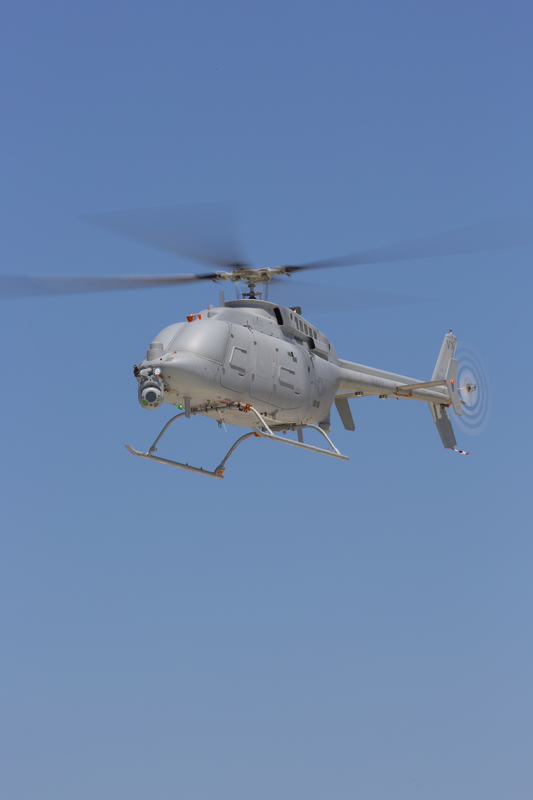 OpenPod keeps the complexity of the mission in mind by allowing warfighters to match the sensors to the mission quickly, giving them flexibility they have never had before», said James Mocarski, vice president, Airborne Tactical Sensors business unit, Northrop Grumman. «When you have OpenPod, you can have Infra-Red Search and Track (IRST), you can have targeting, and you can have communications without having to acquire multiple pods. That gives our customers a significant affordability advantage». OpenPod will be available with targeting and IRST packages at launch, followed by communications, Light Detection And Ranging (LIDAR), 5th-to-4th generation communications and other options in in the future. Because the pod allows for sensor changes without modifications to the aircraft or mission computer, OpenPod can be upgraded independent of the aircraft. That allows for more rapid and affordable upgrades and integration of new technologies. OpenPod is the next step in sensor evolution for users of the AN/AAQ-28(V) LITENING family of advanced targeting systems. 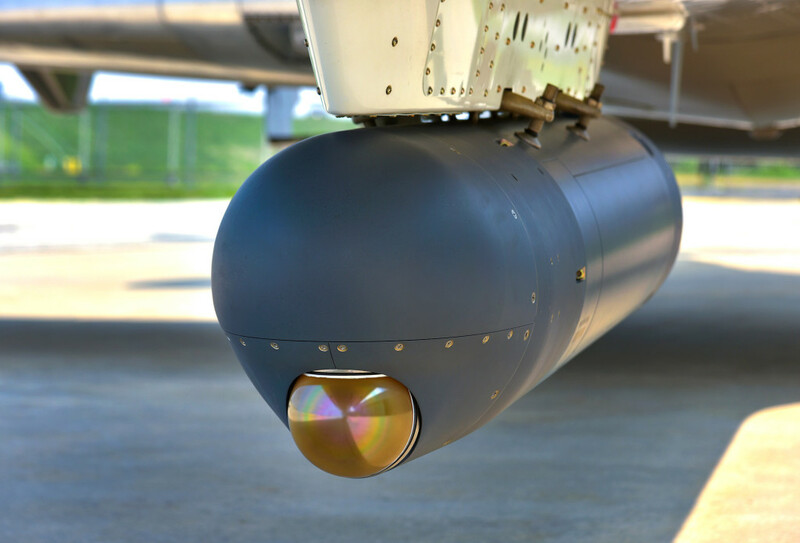 Any LITENING Targeting pod can be converted to an OpenPod, so operators can take full advantage of their existing investments, training and operational experience. The State Department has made a determination approving a possible Foreign Military Sale to Japan for E-2D Advanced Hawkeye Airborne Early Warning and Control Aircraft and associated equipment, parts and logistical support for an estimated cost of $1.7 billion. The Defense Security Cooperation Agency (DSCA) delivered the required certification notifying Congress of this possible sale on Jun 1, 2015.
other related elements of logistics and program support. The estimated cost is $1.7 billion. This proposed sale will contribute to the foreign policy and national security of the United States. Japan is one of the major political and economic powers in East Asia and the Western Pacific and a key partner of the United States in ensuring peace and stability in that region. It is vital to the U.S. national interest to assist Japan in developing and maintaining a strong and ready self-defense capability. This proposed sale is consistent with U.S. foreign policy and national security objectives and the 1960 Treaty of Mutual Cooperation and Security. The proposed sale of E-2D AHE aircraft will improve Japan’s ability to effectively provide homeland defense utilizing an AEW&C capability. 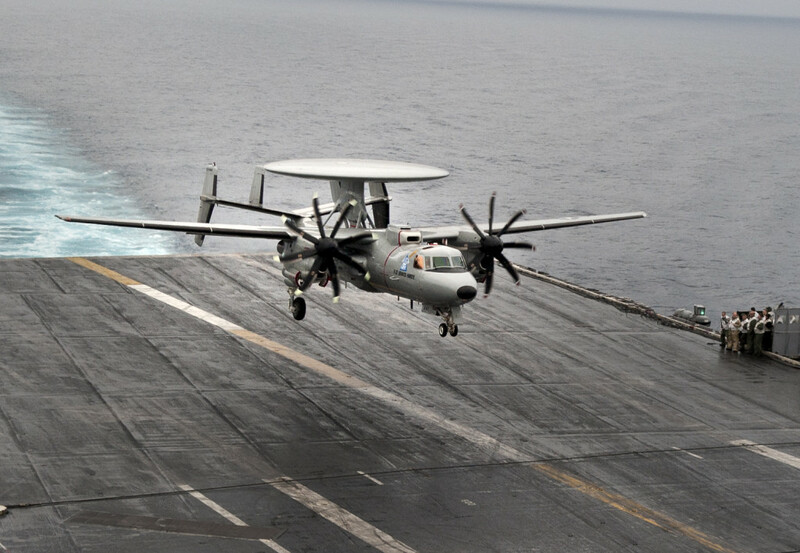 Japan will use the E-2D AHE aircraft to provide AEW&C situational awareness of air and naval activity in the Pacific region and to augment its existing E-2C Hawkeye AEW&C fleet. Japan will have no difficulty absorbing these aircraft into its armed forces. The proposed sale of these aircraft and support will not alter the basic military balance in the Pacific region. The principal contractor will be Northrop Grumman Corporation Aerospace Systems in Melbourne, Florida. The acquisition and integration of all systems will be managed by the U.S. Navy’s Naval Air Systems Command (NAVAIR). There are no known offset agreements proposed in connection with this potential sale. 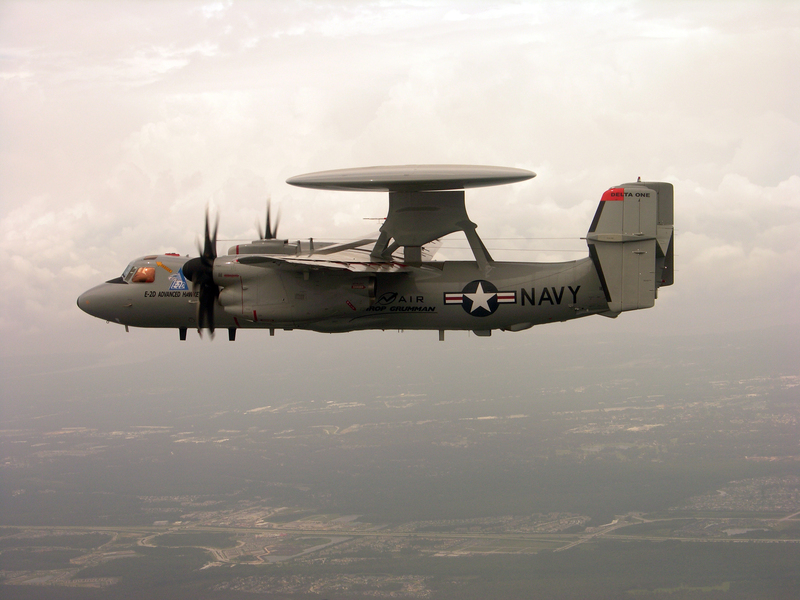 The E-2D Advanced Hawkeye is a game changer in how the Navy will conduct battle management command and control. By serving as the «digital quarterback» to sweep ahead of strike, manage the mission, and keep our net-centric carrier battle groups out of harms way, the E-2D Advanced Hawkeye is the key to advancing the mission, no matter what it may be. 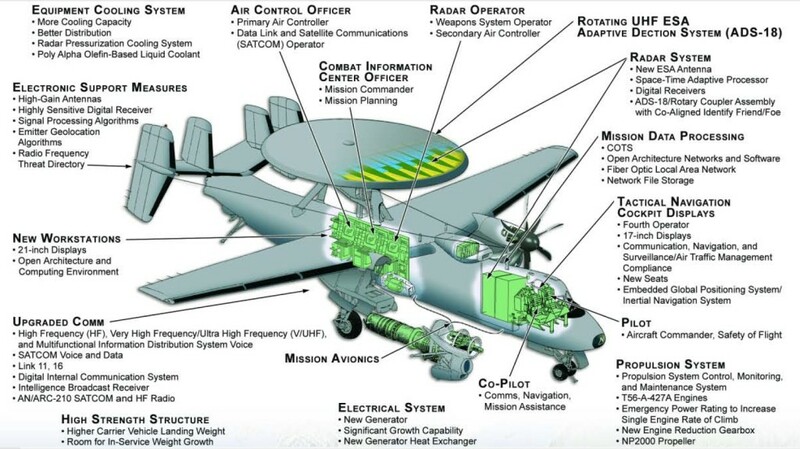 The E-2D gives the warfighter expanded battlespace awareness, especially in the area of information operations delivering battle management, theater air and missile defense, and multiple sensor fusion capabilities in an airborne system. 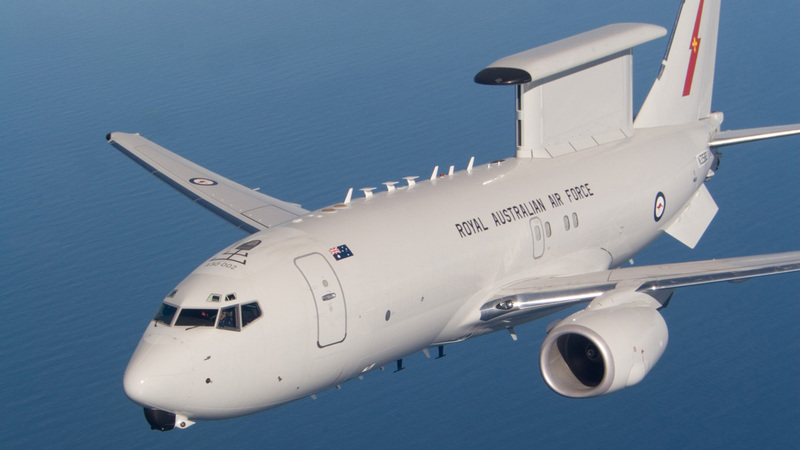 Australia now has the most advanced air battle space management capability in the world, with the Royal Australian Air Force’s Boeing E-7A Wedgetail aircraft achieving Final Operational Capability. The fleet of six Wedgetail aircraft reached the milestone this month with the entire capability, from physical aircraft to logistics, management, sustainment, facilities and training, now fully operational and able to support ongoing operations. The Wedgetail has already proven to be highly reliable and effective on operations and this achievement will further Australia’s capabilities. The aircraft deployed on Operation Okra in the Middle East region, completing over 100 surveillance sorties with our coalition partners, flying more than 1,200 hours. The Wedgetail also provided coordination and flight safety capability for the air search for Malaysia Airlines Flight MH370 in the Southern Indian Ocean. The Wedgetail is tailored to meet the specific Air Force requirements, with six Boeing 737 aircraft modified to accommodate sophisticated mission systems and advanced multi-role radar. 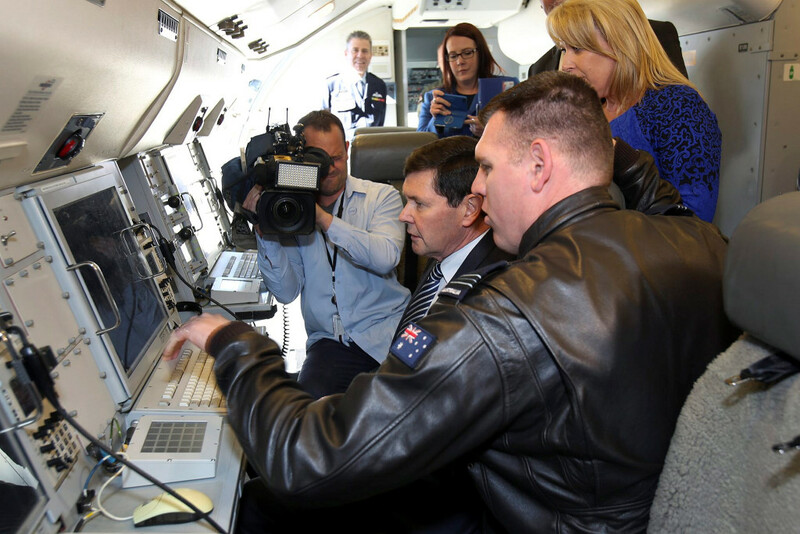 The aircraft significantly enhances the effectiveness of Australia’s existing Australian Defence Force and civil surveillance agencies and helps maintain an advanced technological capability. «The aircraft’s advanced multi-role radar gives the Air Force the ability to survey, command, control and coordinate joint air, sea and land operations in real time», Air Vice-Marshal Davies said. «As we transition into a more technologically advanced force as part of Plan Jericho, the Wedgetail will be able to support future aircraft and surveillance systems». 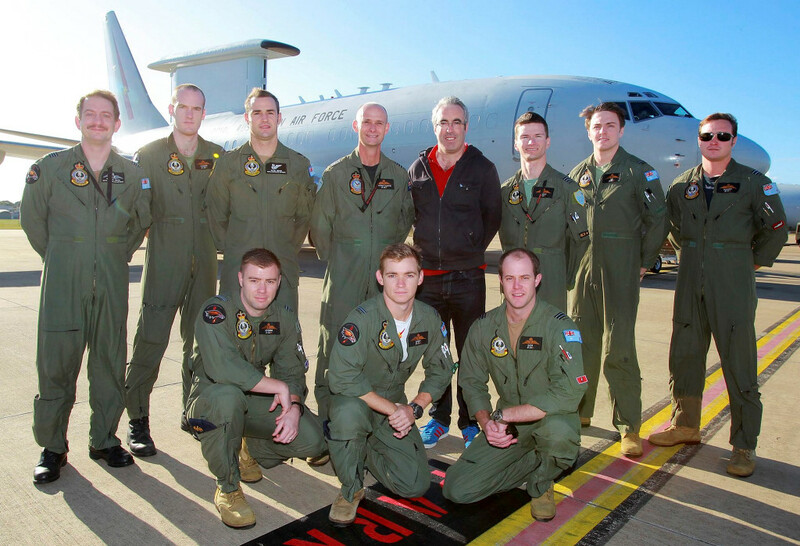 The home operating base for the E-7A Wedgetail aircraft is Royal Australian Air Force Base Williamtown in New South Wales. 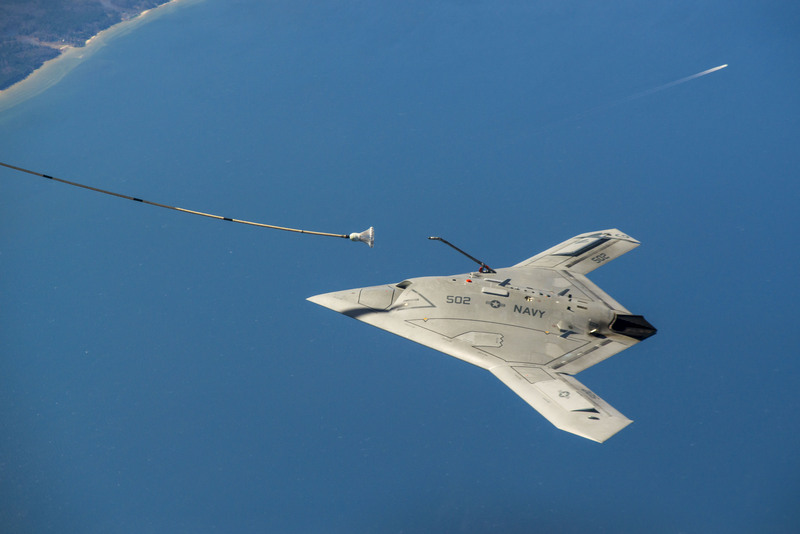 Northrop Grumman Corporation (NOC) and the U.S. Navy successfully demonstrated fully Autonomous Aerial Refueling (AAR) with the X-47B Unmanned Combat Air System Demonstration (UCAS-D) aircraft on April 22, 2015, marking the first time in history that an unmanned aircraft has refueled in-flight. This is another historic aviation milestone for the X-47B, which in 2013 became the first unmanned aircraft to autonomously launch from and recover aboard an aircraft carrier. 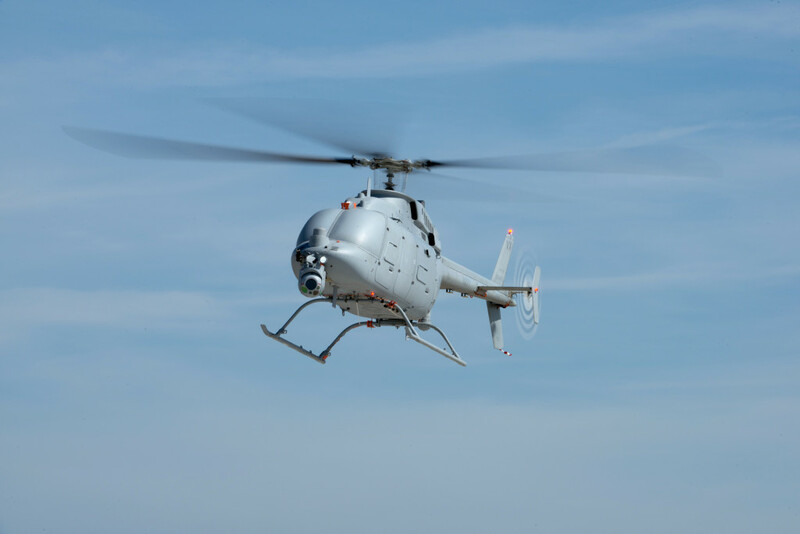 In combination, these landmark demonstrations constitute a major step forward in autonomy that has application in both manned and unmanned aircraft. Autonomous launch, recovery and refueling have the potential for reducing operational costs in the future. 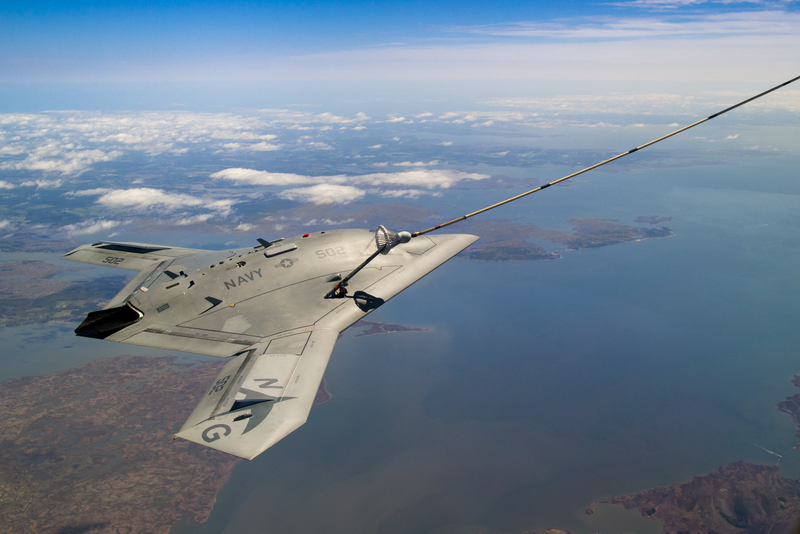 «AAR testing with the X-47B helps solidify the concept that future unmanned aircraft can perform standard missions like aerial refueling and operate seamlessly with manned aircraft as part of the Carrier Air Wing», said Captain Beau Duarte, the Navy’s Unmanned Carrier Aviation program manager. During the probe and drogue (or «Navy-style») AAR demonstration, the X-47B performed a close formation flight rendezvous with an Omega K-707 tanker. Upon clearance from the tanker crew, the X-47B maneuvered into position behind the K-707 and successfully engaged the drogue. On completion of the refueling, the X-47B autonomously disengaged the drogue and maneuvered away from the tanker before returning to base. «We are very pleased with the outcome of this first round of probe and drogue flights with the X-47B», said Pablo Gonzalez, UCAS-D program manager, Northrop Grumman Aerospace Systems. «The AAR system and X-47B both performed as expected. While we would certainly benefit from additional probe and drogue flight testing, we have reached a tipping point at which AAR is now feasible». 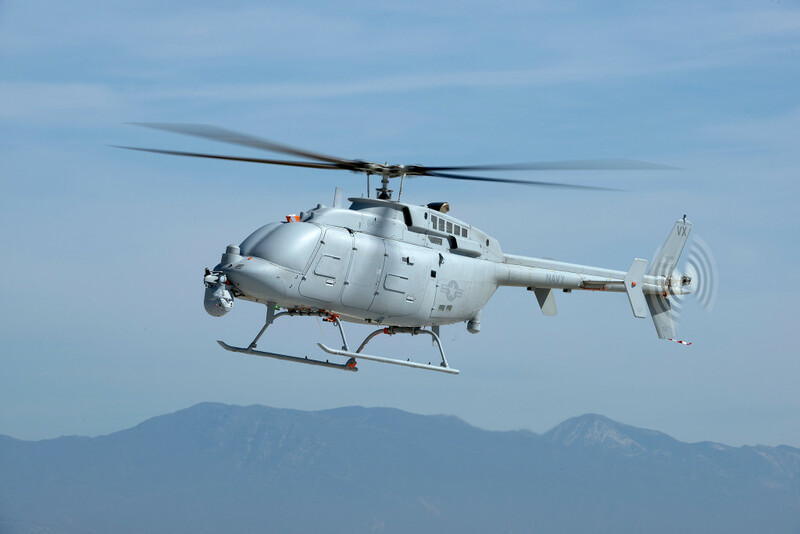 Northrop Grumman began developing AAR technology for both Navy and Air Force application nearly a decade ago, pioneering a «hybrid» approach that integrates both GPS and infrared imaging to enhance navigational precision and hedge against GPS disruption. Initial UCAS-D flight-testing began in 2012 using a manned Learjet as a surrogate for the X-47B. These successful proof-of-concept flights demonstrated the overall feasibility of the X-47B AAR system and helped refine its navigation, command and control, and infrared sensor processing components. Northrop Grumman is the Navy’s UCAS-D prime contractor. The UCAS-D industry team includes Lockheed Martin, Pratt & Whitney, GKN Aerospace, Eaton, General Electric, UTC Aerospace Systems, Dell, Honeywell, Moog, Wind River, Parker Aerospace, Sargent Aerospace & Defense, and Rockwell Collins.